The Yamaha 49cc FS1-E (or Fizzie as it is affectionately known) has achieved real cult status in the 55 years since it was first introduced, despite being dropped from the range between ’79 and ’87. Later models were restricted to 31mph (from 45mph on the originals) spurring a generation of DIY engine tuners to reach for their toolkits. 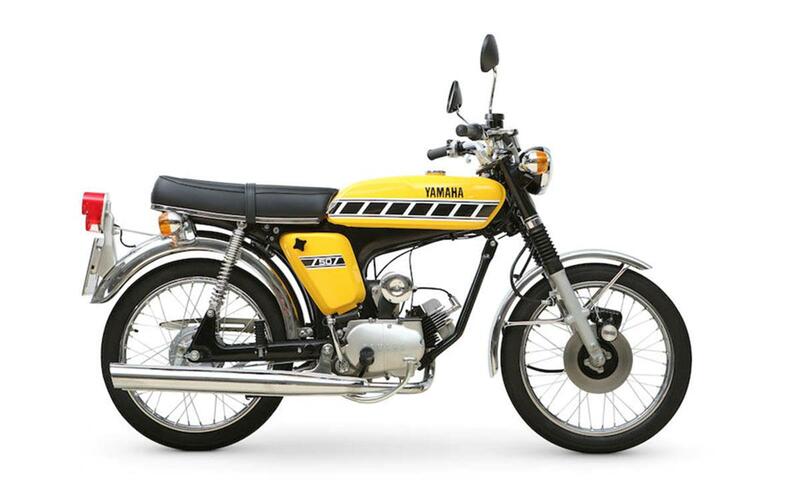 Yamaha made around 200,000 Fizzies, but that hasn’t stopped them becoming popular collector’s items, particularly amongst men of a certain age looking to relive their youth. The bike is expected to fetch between £4k-£5k. "This beautifully restored FS1-E comes with a thick file of bills made out to the previous owner, most of which date from 2011. One of the bills is for a big-bore (44mm) piston kit. "Registered to the current vendor in April 2104, this highly collectible Japanese classic also comes with a V5C registration document and an expired MoT (October 2014)."